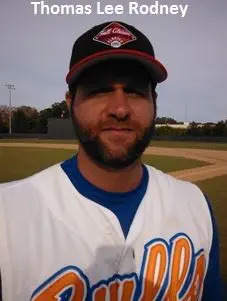 November 14, 2015, Clearwater, FL – With an abundance of riches at his disposal, it’s difficult to blame Atlanta Bulls manager Jeff Boyar for undervaluing his own role in the team’s success. Atlanta, sporting five pitchers with Fall Classic championship game experience, turned to the combination of Thomas Lee Rodney and Chris Cumberland this time around. Like seemingly all of Boyar’s tournament decisions, it proved to be right on the mark. Maybe that tactic would have been just as successful. Then again, maybe Boyar is just being coy. Either way, even he couldn’t have asked for a more dominant championship game performance. Rodney and Cumberland allowed a mere three hits against a veteran EC Cardinals team that sports four-time MLB All-Star and 1995 Silver Slugger Award winner Dante Bichette. Atlanta captured the 2014 title with a 6-0 win over DW Energy. This time around, the Bulls encountered just as little resistance, and not just in the championship game. Due to a lack of teams, the 35 National division was diminished to just three competitors. That forced the Bulls and Cardinals to face each other three times during round-robin play, with Atlanta going 2-0-1, as part of a 7-0-1 week. In the final, the Bulls got all the runs they’d need in the first. Three straight singles pushed across one run to get Atlanta rolling. When another run came home on an error, the Bulls were unknowingly already home free. Jason Alfaro’s two-out RBI single plated Dytarious Edwards from second in the sixth for a 3-0 lead, before a wild pitch allowed one final run to score an inning later. From there, it was just a matter of Cumberland getting six more outs to secure back-to-back titles. The Bulls reached the championship round by stopping San Antonio 3-2 behind Sean Moran’s seven strong innings and a two-inning save from Jacob Serrato.